Kwanzaa is an African American celebration that embraces our African American heritage and our strong sense of human values. It is not a religious holiday nor does it replace Christmas. The word “Kwanzaa” means “first fruit of the harvest” in Swahili. Swahili is used because it is one of the easiest languages spoken in West Africa for English speakers to learn. West Africa was chosen because it is where slaves were taken from. 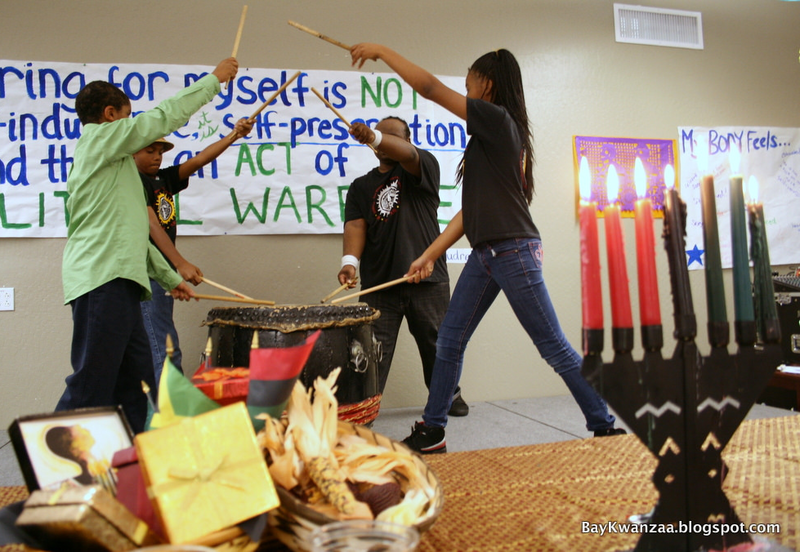 Kwanzaa was created by Dr. Karenga of California State University in Long Beach in 1965. It was first celebrated in 1966 in Los Angeles. Today, with traditional African harvest rituals in mind, many African Americans observe this unique, holiday season that pays homage to our age-old legacy of humanistic ethics. The great celebration takes from December 26 through January 1, a day for each of the Seven Principles. Each night spotlights a specific principle. Come celebrate with us! Want to help us bring more of these important events to the Tri-City Area?